Always good to have a reminder of the basics of 3D printing and its benefits. This one is from JJS Manufacturing looking specifically at contract electronics manufacture. The buzz around 3D printing, or additive manufacturing as it also known, continues to grow day-by-day and it is regularly hailed as a revolutionary “new” process. But did you know 3D printing has actually been around for over thirty years? That’s right, back in 1984, a patent was filed by three French inventors for the stereolithography process and then in the late 80s, Charles W Hull founded his company 3D Systems in California – and Scott Crump at Stratasys, another of today’s leaders in the field, launched his first 3D printer. Fast forward to 2016, and the market has grown exponentially with 3D Systems now employing over two thousand people with revenues in excess of $660m. And according to McKinsey Global Institute research, the economic implications of 3D printing could be up to $550 billion a year by 2025. So it’s fair to say we should probably believe some of the hype. In this blog post, we will discuss the basics of 3D printing and the different types of printing processes that exist, along with the benefits these bring to contract electronics manufacturers (CEMs) and the customers they serve. Over the past year, my email inbox has been consistently pinged by law firms advertising seminars and workshops that promise to help medical professionals understand what is noteworthy for 3D printed medical products, ranging from regulatory to IP concerns. Some of these have been quite alarming, seeming to indicate that as disruptive as 3D printing promises to be, there must be a corresponding disruption to how we work on regulatory compliance to protect our assets. But if we step back and look at the actual Food and Drug Administration (FDA) communications, the pace of adoption of 3D printing and real intersections of 3D printing and business processes, it appears that little has changed. The only disruption is when 3D printing revolutionizes a commercial process. In the year 2000, the music business was still strong. Record companies produced albums and shipped these physical objects to the stores that sold them. The internet was slowly becoming a system of mass consumption and distribution, but most consumers still purchased physical media. And while the record industry was aware of piracy online, the threat seemed minimal. The music industry tried to stop this large-scale piracy by pursuing both the platforms and individual downloaders — including poor college students. But public opinion turned against the industry. After all, stealing digital music is intangible; it’s different than physically swiping actual CDs or tapes from brick-and-mortar stores. And while today many people access their music legally, it’s safe to say that music industry revenues have yet to recover. Thanks to numerous fantastic test results, you could start think that metal 3D printing has become the most normal thing in the world. Just earlier this month, NavAir successfully tested a MV-22B Osprey fitted with a partially 3D printed engine nacelle, and plenty of similar stories are appearing regularly. You might even be wondering why it took so long. After a decade of innovation, surely we should have progressed passed single 3D printed components? In reality, however, aerospace metal 3D printing has been stuck in a kind of limbo– as nothing more than an interesting new technology that needs more study. This is perfectly illustrated by the pioneering efforts of Honeywell Aerospace, a global provider of integrated avionics, engines, systems and service solutions for various partners from the aerospace, aviation and defense industries. They were one of the first to begin experimenting with metal 3D printing way back in 2010, but they haven’t gotten much further than a few practical test parts yet. But it seems as though the technology is reaching a turning point, as it is receiving FAA approval and has also become cheaper and faster than competing technologies. As a result, Honeywell has now begun taking the 3D printing technology out of the laboratories, and into the engine development realm. Metal 3D printing is finally ready for lift-off. What’s the state of engineering in 3D printing? 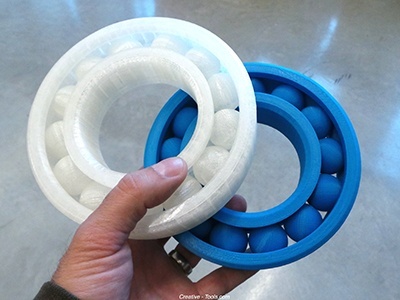 Simply put, 3D printing is poised to radically change the world you live in. While the technology has been around since the 80s, only in the last few years, with technology advances and dropping prices, has it caught the attention of most people. Today, 3D printing is rapidly evolving with new players entering the field, more patents expiring, new technologies (e.g., CLIP and Multi-Jet Fusion) being developed, and supporting software catching up. It’s estimated that the market will grow to $20 billion by 2025. Over 30 years ago, two major companies invented the major technological components of 3D printing, and they’re still the dominant technologies currently in the market. In terms of 3D printing of object, three processes have become popular. The first is called fused deposition modeling (FDM). It uses a thermoplastic filament, which is heated to its melting point and then extruded, layer by layer, to create a three-dimensional object. This rather slow process supports acrylonitrile butadiene styrene (ABS) and polylactic acid (PLA) types of materials. Author Supercharg3dPosted on 12th August 2016 20th March 2017 Categories Supply Chain Impact, TechnologyTags Customization, Spare Parts, TechnologyLeave a comment on What’s the state of engineering in 3D printing? Already a $4 billion industry, and projected to reach $18 billion by 2020, 3D printing appears to be the next disruptive technology. It’s a disruption because 3D printing is replacing manufacturing practices that have been around ever since humankind started using tools.